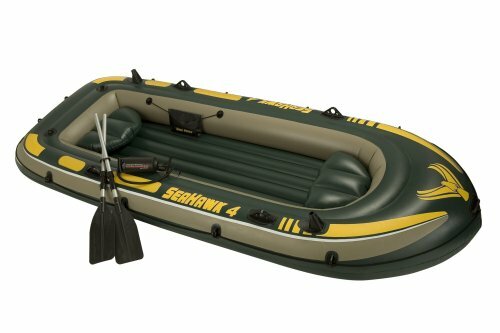 Seahawk 4 Boat Set for up to 4 people includes pump and 48” aluminum oars. Made from SUPER-TOUGH vinyl for durability. Inflatable seats and floor for comfort. US Coat Guard approved.